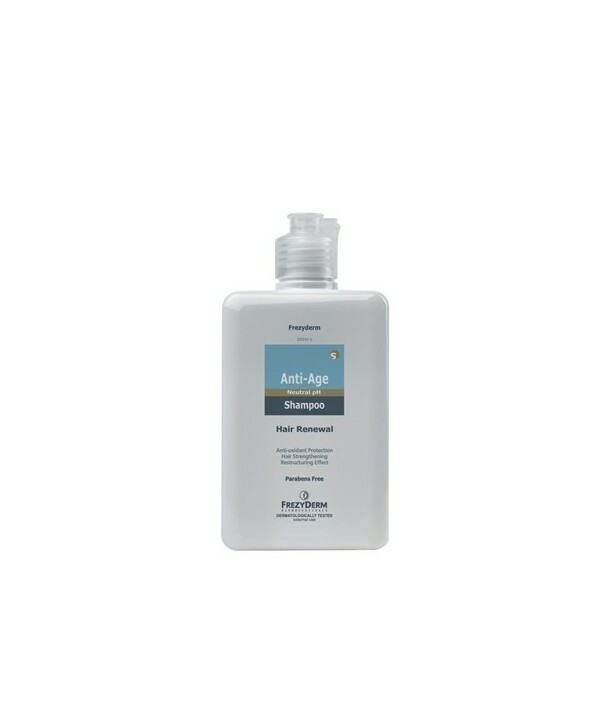 Gentle shampoo for the cleansing and care of mature, brittle hair due to ageing with a yellow tint. Contains a special purple color that covers the yellow tint of white hair. Rich in Ceramides and active ingredients that provide antioxidant protection, strengthen and regenerate the hair, while preventing the tendency of white or gray hair to turn yellow. With neutral pH. Reduces hair loss and hair's tendency to turn yellow by 17% (based on clinical trial). Use a small amount and lather with some water. Leave shampoo for 2-3 minutes and then rinse it off. Repeat once more. Tip 1: Avoid excessive use of styling products and styling (hairspray, mousse, etc.) as they make brittle hair more sensitive. Tip 2: For the period of time during which you swim in the pool, you should always use a specialized shampoo for mature hair because chlorine tends to color gray hair.